Mustafa Khoshnaw – Local Crazy Muslim. An Ottawa woman is warning others to be vigilant after she was allegedly kicked by a complete stranger – who then recorded her shock on his phone – in an unprovoked attack Tuesday on Rideau Street. 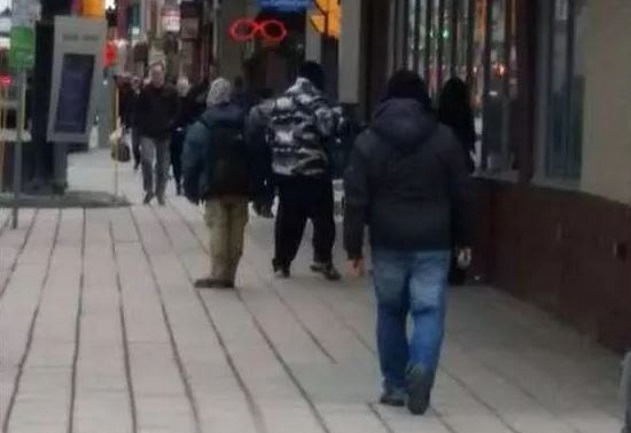 Police confirmed they’ve charged Mustafa Khoshnaw of Ottawa, 26, with five counts of assault after they investigated a string of complaints from people walking on Rideau. Stephanie McLeod, 32, said she was walking home from work along Rideau Street when a man “made a quick U-turn” to follow her, then allegedly “forcibly kicked” her in the back of her thigh from behind. It happened around 4:30 p.m. in front of a supermarket parking lot near King Edward Avenue. When she turned, initially unbelieving, and saw a footprint on the back of her leg, he walked away “as if nothing happened, all while recording my reaction over his shoulder with his phone,” McLeod said.